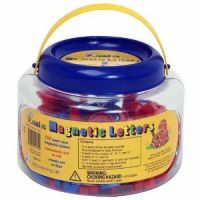 Get this magnetic letters to make words. Kids can start blending words even if they cannot write the letters very well yet. They enjoy touching them and it is a different approach to writing. Remember we have multiple intelligences, and this means that each student likes learning in a different way!